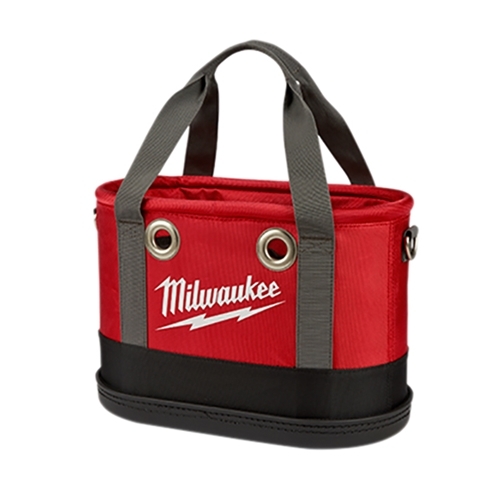 Milwaukee's Aerial Oval Bag provides up to 5x more durability and a solution for storing your power utility tools on the job site. The aerial rigger bag is constructed with 1680D ballistic material with an impact resistant base. The oval tool bag features 24 storage pockets including two puncture resistant knife pockets giving you ultimate organization. Built-in weep holes allow for water drainage after extended use on the job site. The aerial oval tool bag features two nickel plated brass eyelets for ultimate durability and two D-rings for additional storage. A carrying strap allows you to easily transport your power tools, accessories, and hand tools wherever you need. Milwaukee Aerial Oval Bag has a rating of 5 stars based on 1 review.